Who are you? And how do you know? 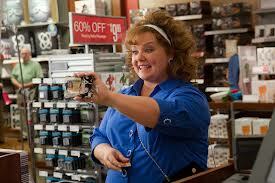 Sandy Patterson is a responsible accountant. He lives in Denver, pays his bills and supports his wife and two children. But he’s arrested for a crime committed in Florida. His identity has been stolen by a woman who uses his name and financial information to empty his bank account and fill up his criminal record. He goes to Florida to find her, intent on bringing her back to Colorado to have her face justice and clear his name. She tells him that her name is Diana. As they travel together, Sandy learns more of the woman’s story; he comes to empathize with her and care about her. She has no family, and does not know her own identity. When they arrive in Colorado, Sandy has forgiven her, but she turns herself in to the police. Sandy and his family have decided to act as her family; they visit her in prison and encourage her as she studies for a career. Diana was dropped off at a police station. She does not know her parents’ names – she does not know her own name. She describes herself as “unwanted” and as a “dumpster baby.” She travelled through foster care, and had six names – and at least six homes – by the time she aged out. She explains that no one has ever cared for her, and that she really just wanted someone to be a parent to her. Without guidance, she has gotten into crime and tries to fend for herself. She is lonely; she tries to impress others with her lifestyle and with fabricated, fantastic stories about her family. 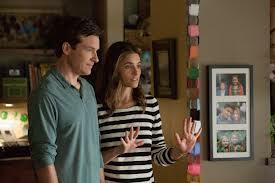 At the end of the film, she has found nurturing acceptance from Sandy and his family. He has found her original birth certificate and provides it to her so that she can know her name; she accepts it, but asserts that she already knows who she is. Sandy listens to Diana’s story and develops compassion for her. By the end of the movie, Sandy has gone from loathing Diana as a criminal to accepting her as a member of his family and acknowledging her good qualities and her positive impact on him. Diana encourages Sandy to be himself with his children; she says that he doesn’t need to be braver than he is, he just needs to be present and loving. Once Diana feels connected to Sandy’s family she does what she considers to be the “right thing” and turns herself in to the police. Maslow’s Hierarchy of Needs suggests that people pursue higher level needs once their more foundational needs are met; in this instance, Diana pursues self-actualization (doing the right thing) only after her needs for love and belonging have been met. While in prison, Diana is working towards a degree with the hope of landing a job after her release. Diana and Sandy’s children affirm that they love each other; she has become like an aunt to them. Diana takes Sandy’s credit card information to a bar and racks up a two thousand dollar tab buying drinks in an effort to make friends. The bartender tells her, “These aren’t your friends. They like you because you’re buying them drinks.” This line could encourage introspection in viewers – what do I do just to impress others? His next line is destructive, “People like you don’t have friends.” Diana attacks the man and is arrested for felony assault. Diana says that no one ever “put me down a different path.” Parents’ guidance is formative to children, but the movie suggests that a criminal life is what happens without parental involvement. Some teens in the foster care system prove that advice wrong by thriving in even very difficult circumstances. Sandy says that Diana, “repulses me. She’s the worst person I’ve ever met.” The movie also makes fun of Diana’s weight. One character explains that his community is “traditional,” which means “no homosexuals, no blacks, no foreigners.” He gets attacked for his attitude, but his words will still likely be hurtful to some viewers. The last scene of the film shows Sandy and his family visiting Diana at prison. The scene has the potential to be a very redemptive ending to the film, but instead the film opts to try for one last laugh: a security guard insults Diana, so she punches her in the throat, gets tackled, and apologizes. There’s some content that will make some parents shy away from screening this film. 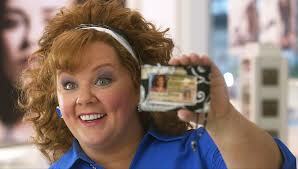 Identity Thief is rated R for sexual content and for lots and lots of language. Diana gets drunk and vomits. She mentions that she frequently drives while intoxicated. Sandy finds Diana, invades her home, and hits her with a guitar. Sandy threatens to kill Diana. Diana is kidnapped by a bounty hunter and pursued by assassins. A van gets overturned on the freeway. Three characters get shot. 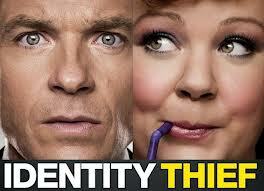 Identity Thief’s content makes it suitable only for older teens and adults. The movie does lend itself to discussion about identity and belonging, which are two important themes of discussion for adoptive families. Parents should watch the movie before screening it with their children in order to determine whether the payoff of conversation is worth the price of some of the raunchy and violent content. What do you think Diana felt like, not knowing her identity? How do you think Diana’s relationship with Sandy’s family will go, once she’s out of jail? What do you think Diana will call herself, now that she knows her name at birth was Dawn? How will having her birth certificate change Diana’s life? Was this article helpful? Why not "Sit in the Front Row!" Join this site in the upper-right-hand corner!